Taaffes Bar is Carlingford’s ‘must visit’ hotspot, offering accommodation, food, activities and much more. We are the ONLY VENUE in Carlingford to provide both live bands and live DJs and guarantee reserved areas. Step back into the past with this traditional Irish bar set in Carlingford’s 16th century Taaffes Castle. Its authentic medieval style complete with swords, knights in shining armour and banquette hall located in the heart of the castle is the perfect location to leave the modern day behind. Taaffes Castle Carlingford is the only location with two separate court yards for those sunny days and a separate sports viewing area for the sporting fan. Stag and Hen Parties are always welcome. Friday night is comedy night! Open seven days a week. Why not join us in the relaxed surroundings of our main bar. Due to the bars layout it is very child friendly, so if your looking for somewhere for a pit stop during the day this is the place. At Taaffes, we are THE ONLY PUB IN CARLINGFORD that guarantees you a reserved area if booked in advance! This is perfect for parties/groups of any size, keeping you all together. Contact us for more information. 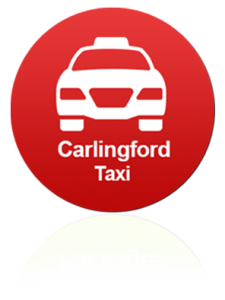 Upstairs in Taaffes is home to Carlingfords No. 1 Disco Bar where top DJ’s will keep you entertained all night long AND……. There’s no cover charge!!! Hen & Stag party in Carlingford! 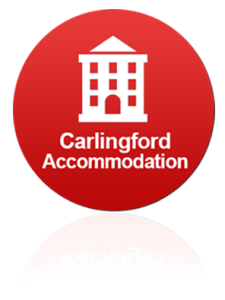 Plan your Hen & Stag party in Carlingford with us! Carlingford is fast becoming one of Irelands premier stag & hen party destinations & at Taaffes bar, we welcome both with open arms! To book your party, contact us for more info. Taaffes Castle is Carlingford, Co. Louth’s premier Hen and Stag party venue. Contact us today to book and reserve your VIP area. We can provide you with self catering accommodation, and B&B all located within walking distance of our spectacular medieval castle. We can also help you plan your getaway & arrange activities for your stay in one of Ireland’s top tourist destinations. Call us Now on +353 (0)429373770 for more information contact us. Bar-Be-Ques are our specialty! Whatever the weather, we can provide a top quality Bar-Be-Que in a medieval castle setting at a very affordable price. We also have 2 beer gardens to choose from. Both are well sheltered from the elements & offer a great setting during the summer months also! Every castle has character of course, and none more-so than ours! Carlingfords medieval charm is exemplified in Taaffes! Taaffes Bar is THE ONLY venue in Carlingford offering the best in live music every Saturday night. With acts like The Stormers, The Nooks, The Dirty Harry’s & lots more! Follow us on Facebook to keep up to date on the latest live act and deals happening in Taaffes Castle.